Make a statement with a chunky turquoise necklace from Palms Trading Company. 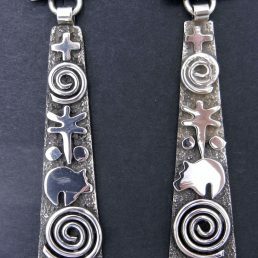 Our beautiful, handcrafted necklaces are perfect for men and women who want to add a touch of the Southwest to their style. 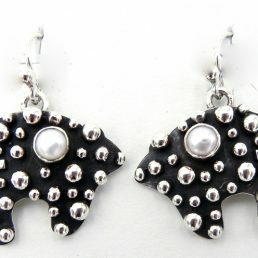 With the world’s largest combined inventory of jewelry, arts and crafts, Palms has been the trusted source for authentic Native American collectibles since the 1960s. 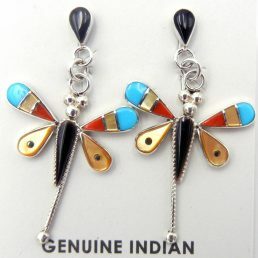 For decades, men and women have flocked to Albuquerque to view our amazing selection of Native American jewelry. Created by Southwest artists from the area’s tribes and Pueblos, these handcrafted necklaces feature precious and semi-precious stones including our regional turquoise gems. Each chunky turquoise necklace represents the traditions and heritage of the artist’s Native American culture. 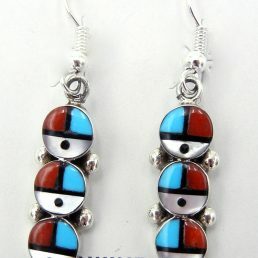 We take pride in buying and selling authentic pieces from Navajo, Santo Domingo, Hopi, and Zuni artists. 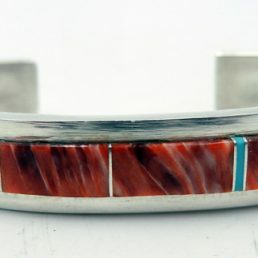 Every handmade Native American turquoise necklace is a one-of-a-kind creation, showcasing detailed craftsmanship through inlay, overlay, needlepoint, and stamped silver work. 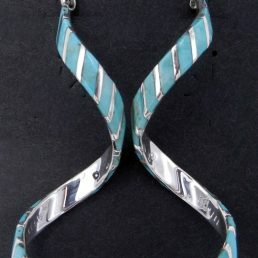 The chunky turquoise necklace allows the artist to display their unique Native American culture through characteristic styles and designs. 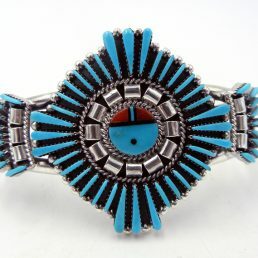 Zuni Pueblo and Navajo artists, for instance, are known for their squash blossom necklaces, with the Zuni’s typically featuring Sleeping Beauty turquoise stones. 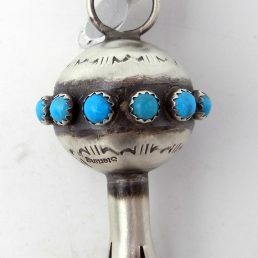 Artists from the Santo Domingo Pueblo often create heishi necklaces that feature patterns of small turquoise beads and polished slabs. With a variety of turquoise rings, bracelets, and earrings, along with these necklaces, Palms Trading Company has a jewelry selection that can’t be matched. Our ever-changing inventory of modern and traditional-styled jewelry pieces includes handcrafted bracelets, necklaces, rings, and earrings. 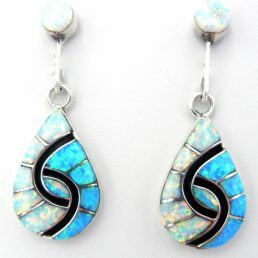 These authentic pieces display precious and semi-precious stones including turquoise, coral, and spiny oysters, set in genuine sterling silver. 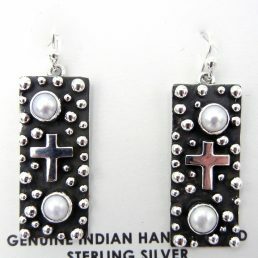 We have a stunning collection of authentic Native American Indian jewelry that will fit any style. Find a handmade chunky turquoise necklace and other unique Native American collectibles at Palms Trading Company.